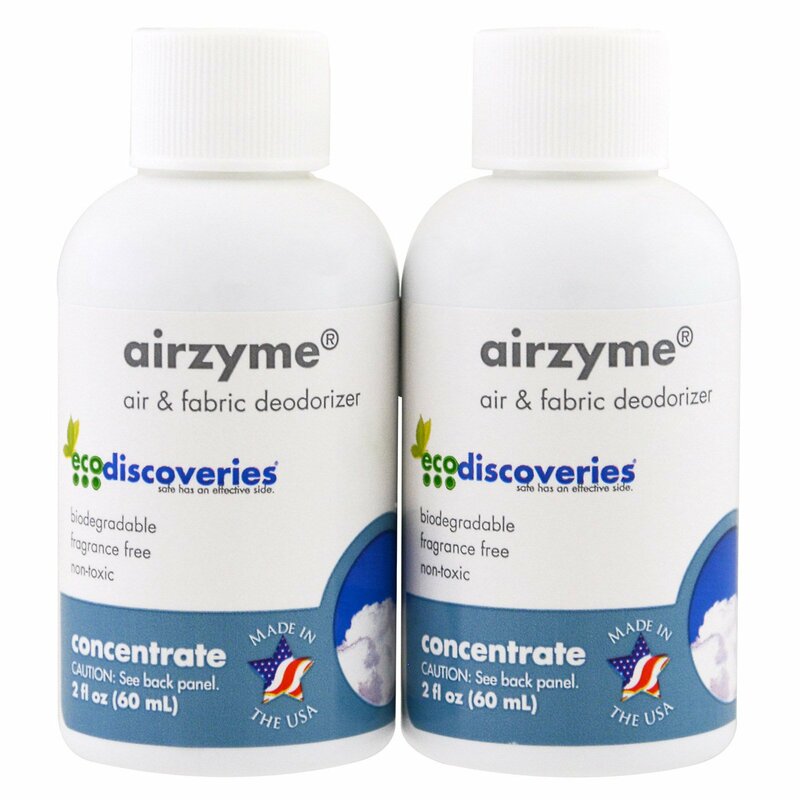 EcoDiscoveries Airzyme concentrate is the same safe and effective formula in a more eco-nomical and eco-friendly concentrate. 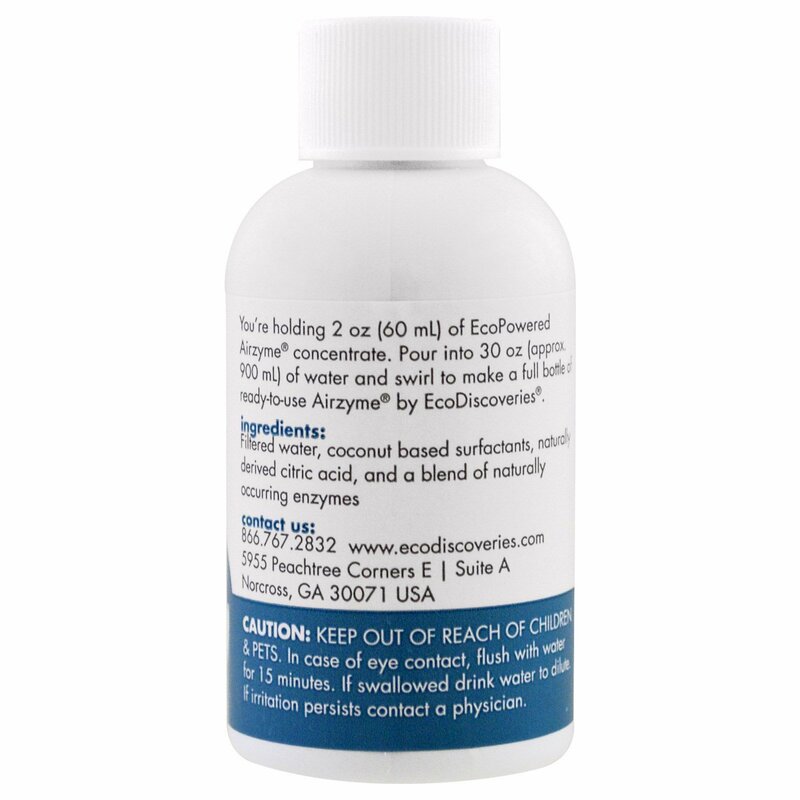 The same natural enzymes and plant-derived surfactants are in this 2 oz bottle. Just add water! 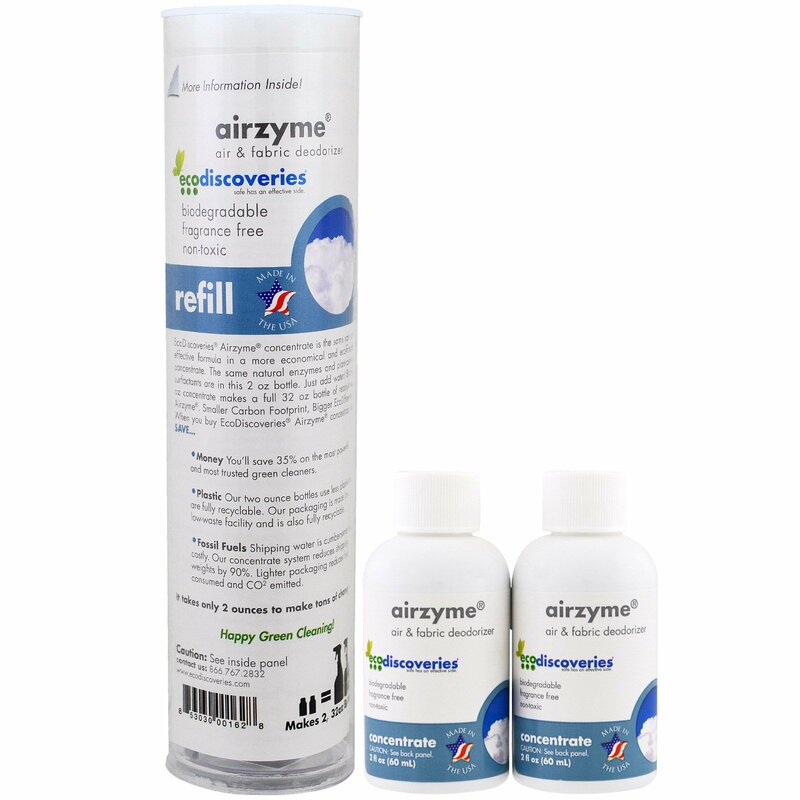 Each 2 oz concentrate makes a full 32 oz bottle of ready-to-use Airzyme. Smaller Carbon Footprint, Bigger EcoDifference. Plastic · Our two ounce bottles use less plastic and are fully recyclable. 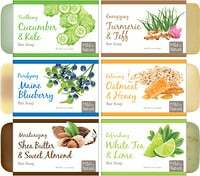 Our packaging is made in a low-waste facility and is also fully recyclable. Fossil Fuels · Shipping water is cumbersome and costly. Our concentrate system reduces shipping weights by 90%. Lighter packaging reduces fuel consumed and CO2 emitted. It only takes 2 oz to make tons of change. You’re holding 2 oz (60 ml) of EcoPowered Airzyme concentrate. Pour into 30 oz (approx. 900 ml) of water and swirl to make a full bottle of ready-to-use Airzyme by EcoDiscoveries. Filtered water, coconut based surfactants, naturally derived citric acid, and a blend of natural occurring enzymes. Recycle or repurpose the 2 oz bottle.